A futuristic, post-apocalyptic landscape where hybrid humans communicate via the transmission of light is the premise behind slowdanger’s latest dance work, VLX, October 6 at 937 Gallery (2nd floor). The 45-minute piece performed to an atmospheric soundscape by slowdanger’s Anna Thompson and Taylor Knight follows a group of cyborgs who are multiple copies removed from their original selves. As such, degradation has caused glitches in their beings and in the world they occupy. 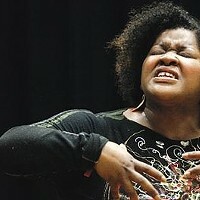 Joining Thompson and Knight on stage will be dancers Ru Emmons, Roberta Guido, and Simon Phillips. 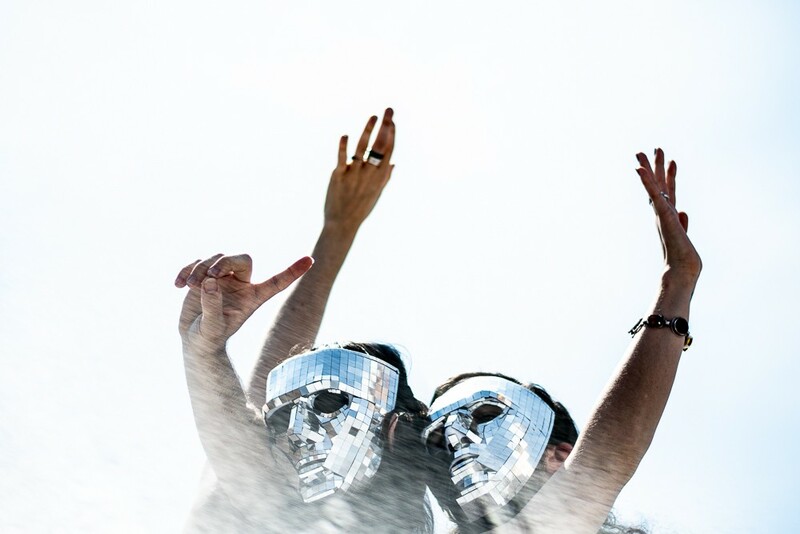 Costumed in masks and headband lights, the dancers will employ the bendy, close-quartered contemporary dance movement language Thompson and Knight are known for. VLX also reunites slowdanger with VJ, projection mapper, and creative technologist, Cornelius Henke a.k.a. ProjectileObjects. He created a 16-foot in diameter LED light ring used in the work that he says “is essentially used to move shadows.” It also provides one of the few light sources for the performance. Its operation is synchronized with the soundscape. Also adding to the look of the production, CMU computational artist Char Stiles will provide video projections she will manipulate via live coding. Not a part of the piece but lurking in the shadows on the gallery walls will be artwork from the gallery’s 50 Cities – 50 Traces exhibit that runs until December 9. 937 Gallery is at 937 Liberty Ave., Downtown. Tickets are $10-15 at door and include a post-performance reception/dance party. Two dance-theater productions with Pittsburgh roots hit the road this month. Choreographer and Point Park University dance professor Kiesha Lalama’s 2009 production The Bench gets new life in Dayton, Ohio. 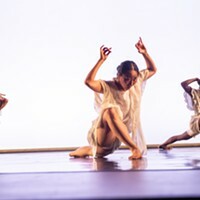 Originally performed by Point Park’s Conservatory Dance the work has gone through several incarnations in the nine years since it debuted, from Broadway hopeful to now re-worked full-length dance, theater, and concert. Entitled The Bench: Journey into Love, Dayton Contemporary Dance Company (DCDC) will world premiere the revamped production about “a man and a woman who meet by a park bench, fall in love, have a family, and continue their love into the next life,” October 6 and 7 at Dayton’s Victoria Theatre to open the company’s 50th anniversary season. Tickets available here. 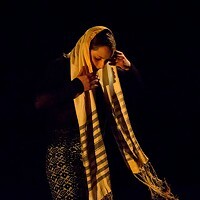 Bill Shannon’s Touch Update that premiered at the Kelly-Strayhorn Theater this past May heads on tour to Philadelphia’s Painted Bride Arts Center, October 19 and 20 with additional stops in Washington, D.C., and New York City to follow. 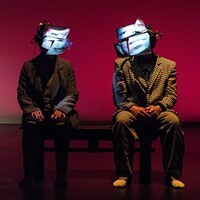 The multimedia production, set to an original score by slowdanger and featuring wearable digital projection masks by Cornelius Henke, explores “the significant and subtle implications of physical human contact in the digital era.” It also touches on contemporary themes of political destabilization and activism. Details here.